Do you recognise this taxi? 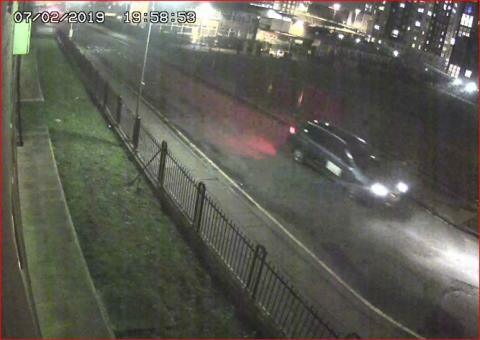 Detectives investigating the murder of James Taylor in Liverpool on Thursday 7th February have today, Wednesday 6th March, issued CCTV images of a private hire taxi they are looking to trace. 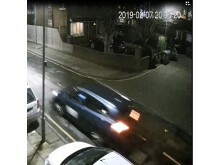 The dark coloured vehicle, possibly a Hyundai I40, was seen in the area of Addison Street and Midghall Street at around 8pm on the night 34 year-old Mr Taylor was fatally shot in Holy Cross Close in Liverpool city centre. Detective Chief Inspector Ian Warlow said: “Enquiries into Mr Taylor’s death remain ongoing. I would appeal for the driver of that taxi to come forward and speak to us as we believe they may have information which is vital to our investigation. Anyone who has information is asked to DM @MerPolCC, call 101 or contact Crimestoppers anonymously on 0800 555 111 quoting reference 19100038615. To date five people have been arrested in connection with Mr Taylor’s murder. All have been released under investigation or on bail as enquiries continue. Do you recongnise this taxi?